You know how in the process of making some quilts you seem to have this, sort of, conversation with it? 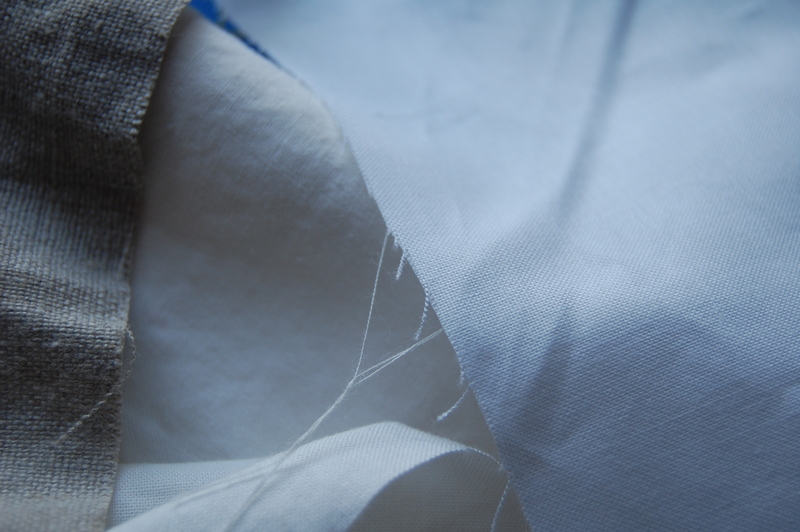 That relationship forms over time spent pondering, shifting pieces, removing whole chunks, bringing new ones in that seemingly change the whole personality of the quilt. Well I have been pretty heavily immersed in that relationship these last few months. It’s been the definite love/hate kind, and now that I’m nearing the end of one portion of this “relationship”, I’m not sure I’m feeling it enough to move to the next level. This all started with a vague vision of creamy oatmeal– blame it on the countless bowls of steel cut oats with a pinch of brown sugar that I have made for the girls in the morning. It also coincided with the realization that my scrap bin was overflowing with several shades of white as well as my much loved linen, in a color that I think goes beautifully with everything- dark tan, grayish brown; call it what you like, in my opinion it’s perfection. So the quilt– ah yes the quilt…. This one has gone through many incarnations; some days I love it, other days, I hate it, and now I have built it up to four distinct panels that, if I can find the inspiration, I will sew together. What I love about “building a quilt this way is the freedom to move panels around and play with the different looks. At this moment this is the order I’m liking. I’m sort of one of those quilters that will store up quilt tops in never, neverland if I let myself, however, I’m trying to refrain. So I take this seriously, I have to finish this! I have to see this relationship to it’s peaceful end and let my quilt go on it’s way to live a good life somewhere. I think I’ll choose a sweet little print fabric (any suggestions- I’m not finding that one that really calls to me) for the back since there is already so much piecing on the front. I’ll come up with the right layout for me and commit to it eventually. My goal is to be basting by next week, but we’ll see how that pans out. Karen, I LOVE LOVE LOVE your style! Great post too! I hope you go for it and finish it. I had one of those pieces recently that I just decided to bite the bullet and finish it even though I wasn’t 100% pleased with it. Go figure it’s my most popular quilt I’ve made yet. I see a delicate orange or yellow print for the back with just a hint of turqoise somewhere. 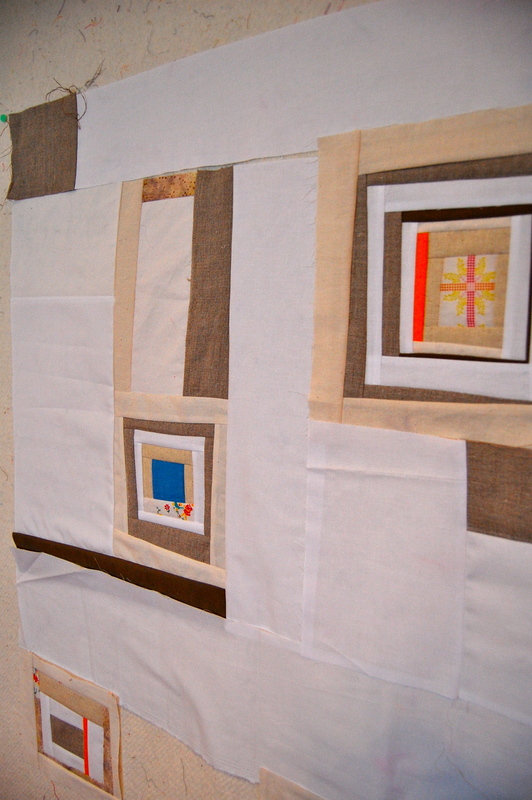 I have not one, but two of those love/hate quilting process quilts happening on the design wall right now. Well, I am in the “love” stage of this one of yours, quite frankly my dear! You have given me tons of inspiration for working on my own first improv piecing project. Thanks! Thank you Karen!! So glad you are feeling inspired to try some improv piecing; I think you’ll find it really liberating and fun! !